Style Vintage Style White Gold Sapphire, Diamond. 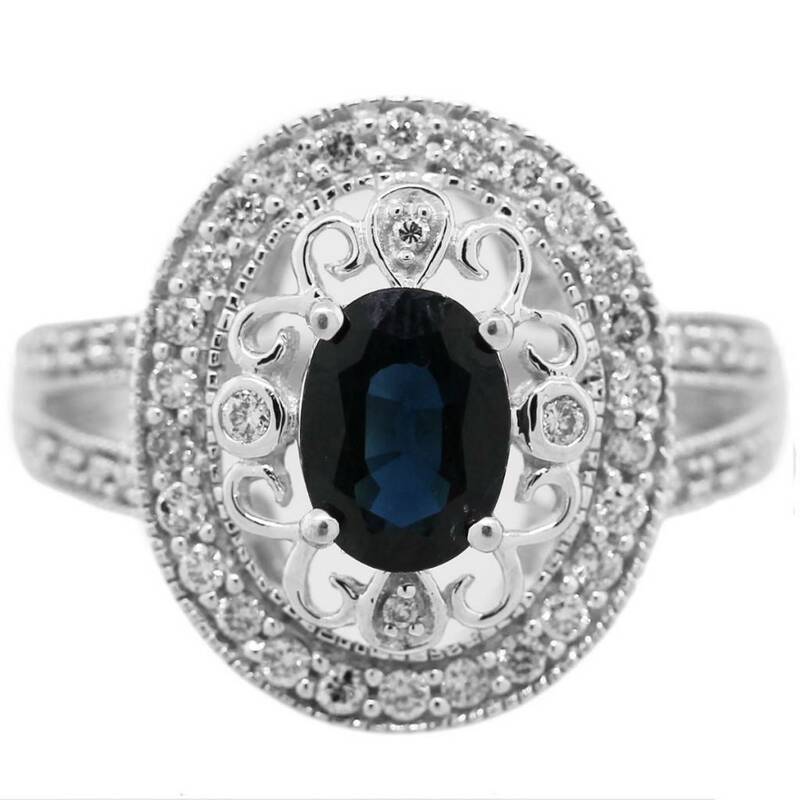 This Vintage Style Ring is made of 14K White Gold and mounts and Oval Cut Blue Sapphire (6 x 8mm) upon a size 6.25 mounting. There are .65ctw of diamond H/I in color and VS/SI in clarity on the ring as well. Categories: Diamond Jewelry, Diamond Rings, Diamonds, Gemstone Jewelry, Gold, Jewelry, Precious Gemstones, Rings, Sapphire Jewelry, Vintage Style Jewelry, White Gold, with Diamonds. Tags: Diamond Jewelery, Diamond Rings, Diamonds, Rings, sapphire Jewelery, Sapphire Rings, Vintage Jewelery.